Urs’ comment: A short, simple book about what makes software complex, how to prevent that and therefore keep software simple. 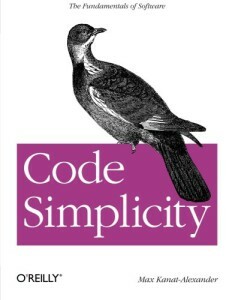 This book contains rules and facts about software regarding code simplicity. The problem of the book is that either you probably know most of its content or you think that it doesn’t work anyway (I got this impression while reading through the reviews on Amazon). Anyway, I think it is worth the time and helps to reflect on one’s own way of coding.